Who's ready to lose a finger on the chopping block? Ah, the joys of being a short order cook. You fry, you chop, you serve, and all of it just for a glimpse of joy on your customers' faces when their Eggs Over My Hammy finally arrives. 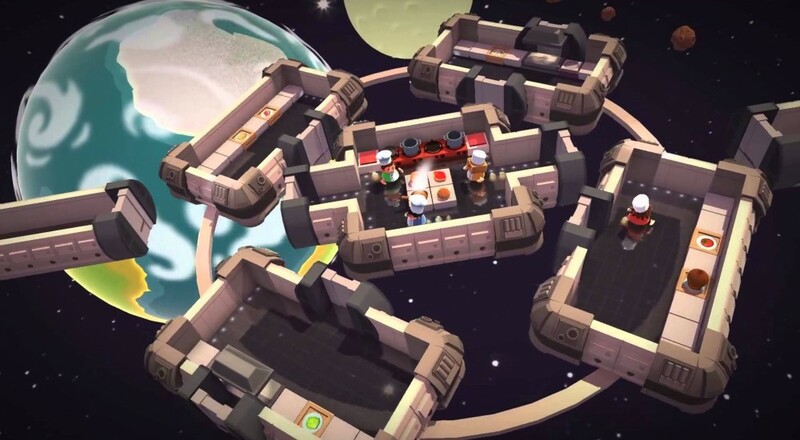 Overcooked aims to condense that experience into a four player local co-op adventure in which you and three friends ascend from "The Barney Fife of Kitchens" to "Culinary Michael Jordan". We had an opportunity to interview the duo who developed Overcooked, Ghost Town Games, back in March. It's a great read, especially if you're interested in the game's many design choices and inspirations. If you'd prefer to see it in action, why not check out this video of the folks over at Double Fine testing their short order mettle. As you can see, the game gets hectic pretty quickly and follows a recent trend of local co-op games revolving around the "scream at each other and hope everything turns out okay" mechanic. I'm typically not the type of person to raise my voice past conversational volume, but I gotta admit, there's a strange appeal to yelling at someone about a patty being undercooked and threatening to dock their wages. If that's not a mechanic in the game yet, it should be. Overcooked hits digital shelves August 3rd on Xbox One, PlayStation 4, and PC. Personally, I'll be picking it up on release in anticipation of a weekend-long local gaming session. Given that I'm not hospitalized due to fryer accidents or strangling, I'll report back after. Page created in 0.4260 seconds.